Evans' book reflects an experiment to do exactly what its title suggests: an attempt to take her interpretation of Biblical womanhood literally and live that lifestyle for one year. 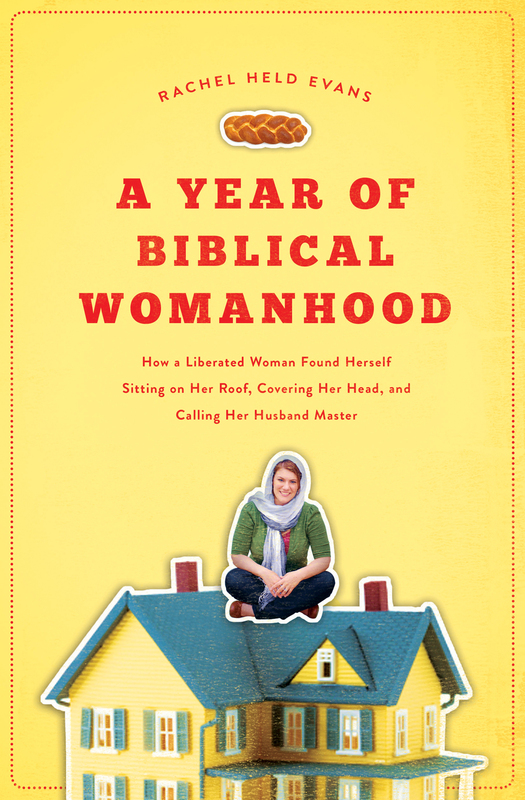 In actuality, Evans chooses twelve traits she identifies with Biblical women and tries to find ways to both literally and contemporaneously embody those attributes. The experiment includes her performing a number of tasks, from camping out in her front yard during her period, learning to cook like Martha Stewart, trying to sew a dress, sitting on her roof in repentance, and carrying around a fake baby. Responses to Evans' experiment have been widespread. Some find her tone disrespectful while others have found the book comical, controversial, blasphemous, admirable, anti-feminist, progressive, anti-Christian, devout, or simply an interesting conversation starter. Evans grew up in an Evangelical home, is in the process of questioning her upbringing, and mostly refers to the New International Version of the Bible. Evans devises twelve virtues and a list of "Biblical Woman's Ten Commandments" to focus on over the course of the year. Her virtues are gentleness, domesticity, obedience, valor, beauty, modesty, purity, fertility, submission, justice, silence, and grace. Her self-imposed commandments are to submit to her husband's will in all things, devote herself to duties of the home, mother, nurture a gentle and quiet spirit, dress modestly, cover her head in prayer, not cut her hair, not teach in church, not gossip, and not have authority over a man. Agree or disagree, these lists should give you a taste for Evans' perspective on the Bible. The tone is a bit uneven, some goals seem ridiculous, and given the varying interpretations of the Bible, it's hard to imagine anyone from any background fully agreeing with everything Evans does or concludes. That being said, it's certainly a fascinating idea in a twenty-first century world. I read some chapters in depth, loving reading what she was doing and how she altered her day-to-day life, while other chapters and experiments failed to keep my interest and I found myself skimming. Will the book change your life? Probably not. At times it's entertaining, funny, and insightful; other times it seemed self-indulgent, confusing, and misguided. If you asked me to rate it, I'd probably give it three out of five stars--I loved the premise, liked the book. I doubt I'd read the whole thing again, but I would definitely use it in a women's studies book club or recommend it to anyone who's interested by the title or who generally enjoys memoir, women's studies, or reading about religion. It absolutely makes for a great debate or conversation piece. I've included some key passages from each chapter below. October: Gentleness - "Girls Gone Mild"
"A great tree is both moved and unmoved, for it changes with the seasons, but its roots keep it anchored in the ground. Mastering a gentle and quiet spirit didn't mean changing my personality, just regaining control of it, growing strong enough to hold back and secure enough to soften.... Far from connoting timidity or docility, gentleness is associated with integrity and self-control, particularly in the face of persecution." November: Domesticity - "Martha, Martha"
"'It has to get messy before it gets clean'--a philosophy that pretty much sums up every meaningful experience of my life, from homemaking to friendships to faith. Sometimes you've just got to tear everything out, expose all the innards, and start over again." December: Obedience - "My Husband, My Master"
"Okay, I'm just going to come right out and say it: A lot of women secretly hate Christmas. Now, don't get me wrong. We love that picturesque moment in which the tree is lit, the fire is crackling, and children outfitted in matching candy-cane pajamas dance around the living room to Tchaikovsky, showing off armfuls of new toys while a twenty-pound ham bakes in the oven; we just hate the anxiety disorder we developed while attempting to produce it.... And who gets the credit for pulling it all off? Santa. That's right. A man." January: Valor - "Will the Real Proverbs 31 Woman Please Stand Up?" "I knew from my research that Proverbs 31 was never meant to be turned into a to-do list, but there was something about the spectacularity with which I was blowing this that beleaguered my confidence. Most women walk around with the sense that they are disappointing someone. This year, I imagined that Someone to be God. Though Proverbs 31 represented a poetic ideal, I couldn't shake the feeling that if these were indeed the accomplishments of a competent, capable, virtuous, valiant, and worthy wife, then I must be none of those things." February: Beauty - "My Breasts Are Like Towers"
"Both husbands and wives bear the sweet responsibility of seeking beauty in one another at all stages of life. No one gets off the hook because the other is wearing sweatpants or going bald or carrying a child or battling cancer. Any pastor who claims the Bible says otherwise is lying. End of story." March: Modesty - "Hula-Hooping with the Amish"
"In Judaism, the term used for modestly is tzniut, and it refers to both the inward traits of humility and the outward observance of laws pertaining to dress. I asked Ahava about this and she said, 'Tzniut is more than just a list of rules about how to dress. It's a state of mind. The idea is to avoid dressing in a way that draws attention to your outer self, but instead to dress so that your inner self is allowed to shine through. You should try to be pretty, but not alluring. You do a huge disservice to modest dress if you wear the same outfit over and over again, particularly if it's frumpy. Nobody wants to be around a schlumpy dresser.... Tznuit is also about how you act,' Ahava added. 'You don't want to try to make people notice your or force yourself to the forefront for attention. Having the newest and nicest things is a way that many people try to get attention, but that is not the way of tzniut.'" 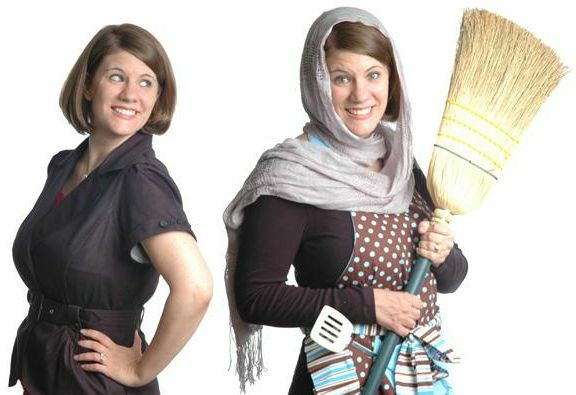 April: Purity - "The Worst Time of the Month to Go Camping"
[Regarding menstruation]: "For ancient Israelite women and for modern-day Orthodox Jewish women, a ritualized bath marks the end of a monthly time of separation called niddah (literally, 'separate'). When a woman is niddah, she is prohibited from having any physical contact whatsoever with men, including her husband. the time of separation varies from tradition to tradition, but most Orthodox Jews, like Ahava, observe it for a total of twelve days.... 'I have mixed feelings about niddah these days,' Ahava confessed. 'Sometimes it's a nice break to not have any physical expectations in our relationship, but there have been extremely emotional times when a hug would have been nice, but it couldn't happen. This is especially hard after giving birth, which is a hugely emotional time.' No hugging after the birth of a baby? This seemed unreasonable, even cruel. I wondered about women who miscarried and whose blood represented a deeply painful loss. Could the law not be broken to offer them comfort? What kind of God would be offended by that?" May: Fertility - "Quivers Full of Arrows and Sippy Cups"
"I wasn't even pregnant, and yet somehow I'd managed to get myself recruited into the Mommy Wars. Pretty soon I'd have to weigh in on breast or bottle, natural or epidural, cloth or disposable, canned or homemade, public or private, homeschool or circus. How I responded to these questions would automatically place me into the category of 'friend' or 'enemy,' depending on the company, and once I spoke out on an issue, there would be no turning back. This was one of about a hundred things that terrified me about motherhood.... The word on the street was that I had two options when it came to caring for my future baby: I could either eat, sleep, drink, bathe, walk, and work with my baby permanently affixed to my body until the two of us meld into one, or I could leave my baby out naked on a cold millstone to cry, refusing to hold or feed her until the schedule allowed. Apparently, there was no in between." June: Submission - "A Disposition to Yield"
"I don't respect my husband because he is the man and I am the woman, and it's my 'place' to submit to him. I respect Dan because he is a good person, and because he has made me a better person too. This is grace. And for us, it goes both ways." July: Justice - "Eat More Guinea Pig"
[Regarding fair trade consumerism]: "As it turns out, the majority of the world's cocoa beans come from West Africa, where farmers sell to major chocolate companies.... For the last decade, media reports have detailed horrific working conditions on these cocoa farms, including what can only be described as child slavery.... Many of these children have been trafficked from neighboring countries, kidnapped from their families and forced to work without pay on the cocoa farms. The BBC reports that the going rate for a young boy in Mali is around thirty dollars. Conditions are hazardous, and child workers are often abused. In fact, the International Labor Rights Fund recently sued the U.S. for failing to enforce laws prohibiting the import of products made with child labor, but the big chocolate companies continue to dodge the numerous deadlines set by Congress to regulate their trade practices. A quick survey of the chocolate on our snack shelf revealed that all of it came from companies associated with child slavery.... I asked friend for recommendations, then purchased four chocolate bars from three different fair trade retailers to see which ones Dan and I liked the best.... Who knew justice could be so delicious?" August: Silence - "I Am Woman, Hear Me No More"
"'Women don't have a lot of margins for error when it comes to preaching, do they?' I asked Jackie. 'You've always got to be as good as the mean in order to be accepted.' 'No, we have to be better,' Jackie said. 'We have to be better in order to receive the same level of respect as the men.'" September: Grace - "Days of Awe"
[SPOILER ALERT]: "So after twelve months of 'biblical womanhood,' I'd arrived at the rather unconventional conclusion that there is no such thing. The Bible does not present us with a single model for womanhood, and the notion that it contains a sort of one-size-fits-all formula for how to be a woman of faith is a myth." What do you think of Evans' experiment?